Boasting 990 stores across 12 countries, this popular chain of “upscale cafeteria-style” restaurants centers its experience on sanuki udon, thick-cut square noodles that are a traditional Japanese comfort food, and seeking to expand in the mainland U.S. 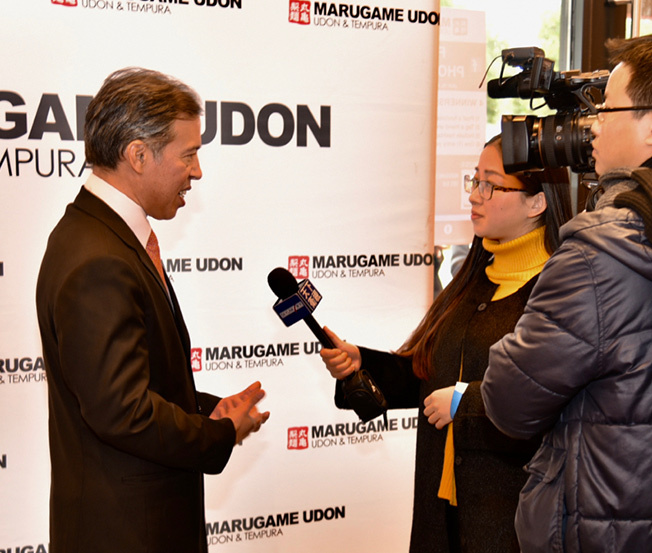 Build awareness and buzz around the grand opening of Marugame Udon’s first San Francisco location in Stonestown Galleria, particularly among students, local East Asian and APAC media, and through local influencer outreach. Cement sanuki udon as a distinctly Japanese tradition that Marugame Udon delivers with the utmost authenticity, using high quality imported ingredients and daily, fresh preparations. 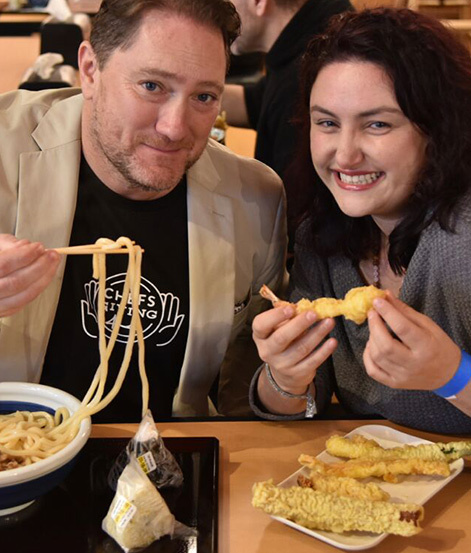 Spritz executed a series of targeted media and influencer outreach campaigns for the Marugame Udon grand opening. Campaigns included exclusive sneak peek tasting events for influencers, bloggers and media, and the grand opening itself. Spritz coordinated and managed outreach towards a curated group of local influencers, bloggers, and food industry media to drive social buzz, spread news of the opening by word-of-mouth, and build awareness and anticipation. To reach local audiences, Spritz also created a Facebook event page and launched a social media contest for increased social shares and engagement. City officials, dignitaries, media, and VIPs were invited to attend the grand opening ribbon-cutting ceremony before it opened to the public. Spritz developed run-of-shows for the Grand Opening and pre-opening events, and assisted in event management including sourcing photographer, tent, and other event items. Press materials such as press releases, media alerts, and VIP invites were tailored, created, and distributed to local media, influencers, media, and city officials. Spritz provided staffing and coordination on-site for check-in and management of photographers, VIPs, and media. Leveraging the expertise of the in-house creative team, Spritz also created invites for the sneak peek events and the grand opening ceremony, and designed photography and hashtag props to generate points of engagement at the grand opening. On-site efforts were also supplemented with signage to attract passersby and organize crowds. The Marugame Udon grand opening was a success, with a line of noodle-hungry customers streaming out the door 3 hours prior to the public grand opening. Coverage was secured in well-known local food and news publications, including ABC 7, NBC Bay Area, Tablehopper, Food Gal, Eater SF, and Hoodline, for more than 2.4 million media impressions. 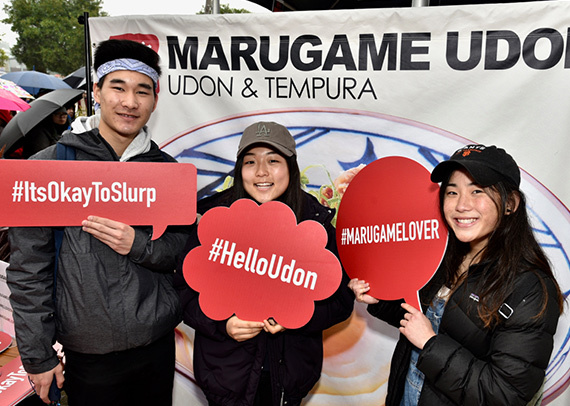 Marugame Udon also received more than 200,000+ estimated impressions on Instagram through influencer posts from the sneak peek events and buzz from the grand opening.